The superb view from our garden and terrace! Aerial view of the guest house. A view overlooking Gairloch with the northern tip of the Isle of Skye and some of the Western Isles just visible on the horizon. The garden and terrace area with outside seating. The superb view is shown elsewhere in this slideshow! The view from our breakfast room with the northern tip of the Isle of Skye visible in the background. Gairloch View Guest House is set amidst the stunning Highland scenery of Wester Ross in the north west of Scotland, one of the most beautiful areas of the UK. Your hosts Alan and Sheena would like to welcome you to their excellent bed and breakfast accommodation which is situated in an elevated position near to the centre of Gairloch on the west coast of Scotland. Our guest lounge and breakfast room have magnificent sea views across Loch Gairloch towards the Isle of Skye and the Western Isles, a superb panorama with which to start and end your day. Our guest accommodation is furnished to a very high standard and we have 3 letting bedrooms, all with en-suite facilities. We are delighted to have been awarded a 4-star rating from VisitScotland. 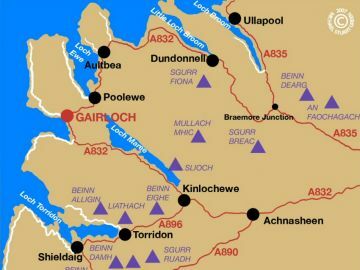 Our website contains quite a lot of information, both about our guest house as well as about Gairloch and the area. Please take the time to have a thorough browse through it. Find some of the main information on our website via the links below; also, view a summary of What We Provide. as well as our 360° video! Details of the guest accommodation with photos. Breakfast is served in our guest breakfast room which has magnificent sea views. Information about our location with a zoomable Google Map. 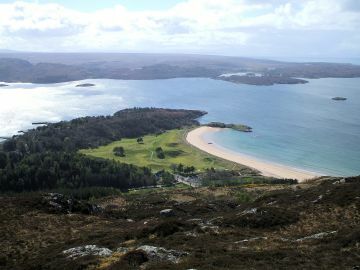 Some of the many things to see and do when visiting the Gairloch area. 2 double bedrooms + 1 twin bedroom; all rooms are en-suite. 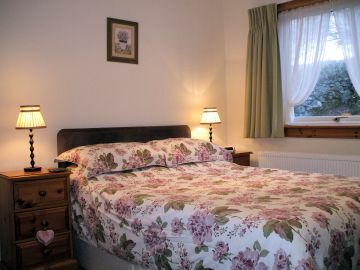 All bedrooms have tea and coffee making facilities; hairdriers are also provided. 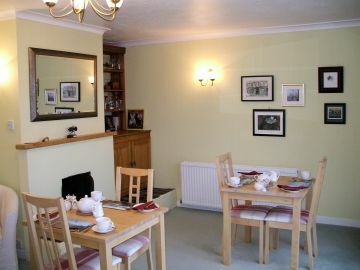 There is a guest breakfast room; also a guest lounge with TV and Wi-Fi Internet access. Bed and breakfast costs from £45 per person per night and includes breakfast. There are magnificent sea views from the guest house. Many outdoor activities locally; superb sandy beaches nearby. Excellent base for touring the north west Highlands of Scotland.